redBus has launched a new native app on iOS which can access 10,000 bus routes from 800+ operators directly from the app and complete their bus booking. This comes in the wake of the redBus Android app becoming one of the most downloaded travel app in the country with more than 500,000 downloads. At the same time, redBus also announced the launch of an upgraded version of its Windows Phone App with a completely new look and feel, including the ‘virtual boarding point’ feature which allows customers to get directions to their boarding point from their starting location. 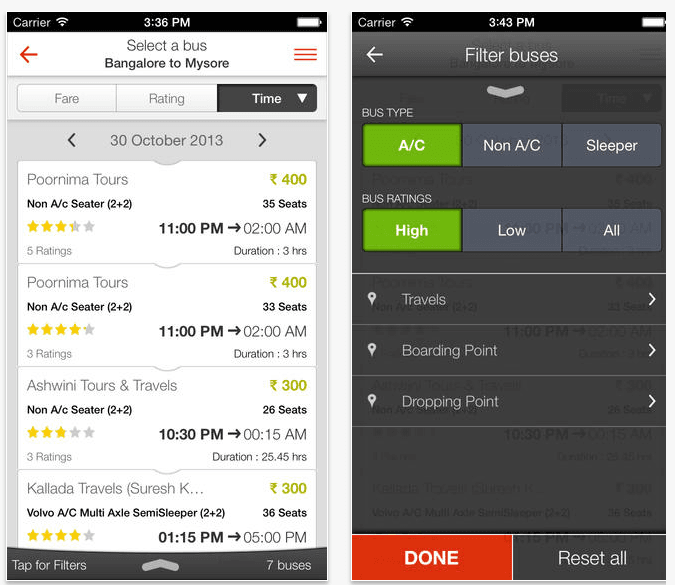 Customers now can also download their previous bookings and cancel their ticket directly from the app.